Akihabara is home to a highly competitive game center district. This article introduces seven arcade game centers featuring both the latest and the most retro games available! Known as the city of anime and electrical appliances, Akihabara is home to a competitive game district which is lined with arcades. These arcades are packed with Japan's game culture, and are great entertainment spaces. The arcade games made with the latest technology really pack a punch while the arcades with retro games are great places for tourists to play some nostalgic games. In this article we will introduce some of Akihabara's popular arcades, all conveniently located near JR Akihabara Station. Club Sega Akihabara Shinkan is a 3 minute walk from the JR Akihabara Station Electric Town Exit. It has tons of crane games, and is constantly packed with customers. It has a cheerful atmosphere, and is a great place for tourists. At the photo booth corner on the third floor, you can take photos in cosplay for 500 yen. Why not get yourself a memorial cosplay photo at Club Sega Akihabara Shinkan? Adores is the red arcade that stands out among the other buildings on Akihabara's main street, Chu-o Dori. The third floor to the tenth floor are used for karaoke, so you can enjoy both games and karaoke in the same place. The first and second floors have prize corners where you can win prizes such as anime goods and stuffed animals. 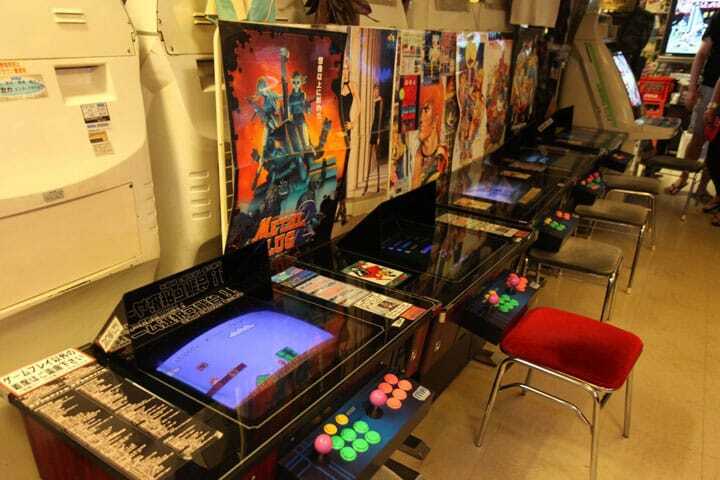 Next PageCheck out some of the best arcade game centers in Tokyo - introduced on the next page!